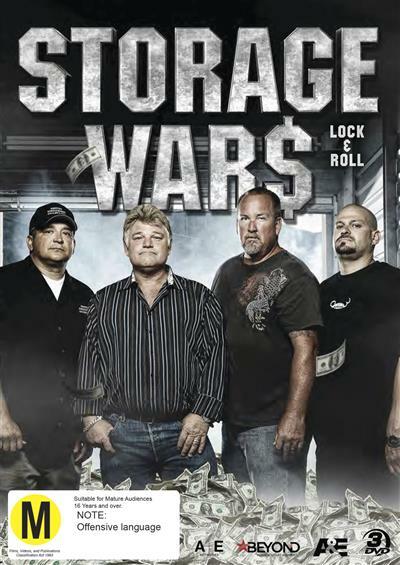 When the storage doors open, our favourite treasure hunters jostle, needle and cajole one another to get their hands on the best stuff in STORAGE WARS from A&E. Here, abandoned lockers are a hot commodity, cash is king, and the art of storage buying has never been more valuable. ... read full description below. When the storage doors open, our favourite treasure hunters jostle, needle and cajole one another to get their hands on the best stuff in STORAGE WARS from A&E. Here, abandoned lockers are a hot commodity, cash is king, and the art of storage buying has never been more valuable. In Collection 8 of STORAGE WARS, everyone is shocked to see Dave Hester return to the auctions with a vengeance. Jarrod and Brandi are determined to make big money from small finds. Darrell and Brandon discover a piece of history that takes them to the airwaves and Ivy's bad day ends with a bang. Mary just tries to land something that will give her a quick sale as Rene looks to buy big. Join teams of bidders as they look to score big in the high-stakes world of storage auctions!